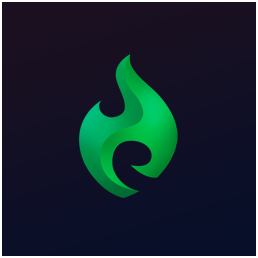 The Tespa brand guidelines apply to, but are not limited to, the Tespa name, logo, icons, social media icons, photos, and any other images included on the Tespa family of websites.  Tespa's brand means a lot to us. Follow the guidelines below to make sure that your usage of our assets is visually (and legally) awesome. 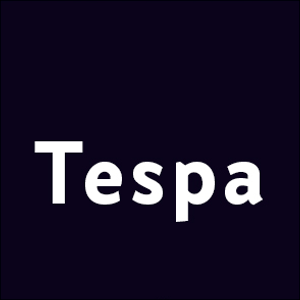 As our mission expands to support the collegiate gaming community on an international scale, Tespa has become the name of our organization and our movement, rather than just an acronym. Do use Tespa as a proper noun. Don't use Tespa as an acronym. Our branding guidelines are here to make our assets as accessible as possible, not to make things difficult and confusing. As long as you stick to these simple rules of engagement, you have our blessing to be creative with all of our tools and assets. 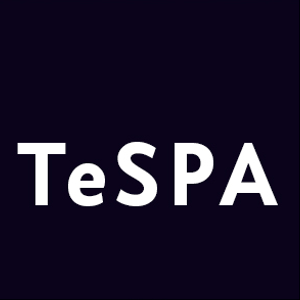 Do use official Tespa brand assets downloaded from our media folder.  Do use the Tespa logo or assets to recognize your chapter's involvement with Tespa. Don't alter the Tespa logo or assets without written approval from Tespa. Don't use the Tespa logo or assets to suggest sponsorship or endorsement by Tespa, unless you or your event has an official sponsorship or endorsement from Tespa. Don't use the Tespa logo or assets for third-party sales. For example, printing and selling a T-shirt with the Tespa logo would be a third-party sale, and would require special permission from our legal team. Don't use Tespa assets in a way that is harmful, obscene, or objectionable to Tespa, whether intentional or not. 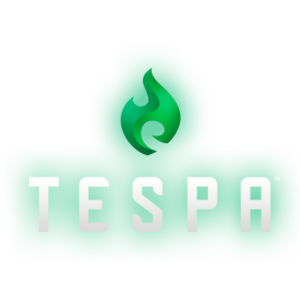 Leave enough white space around Tespa logo so that it doesn't get crowded by other elements. This margin space should be at least the width of the flame icon on all sides. Use each Tespa logo on the appropriate type of background: the white logo should be used for dark backgrounds, and the darker logos should be used for light backgrounds. Do use the brighter logo on a dark background, and vice versa. Do use single-color logos when needed, but only in white or black. Don't change the color of the logo. Don't add flows, shadows, strokes, or any kind of effect to the logo. Don't stretch or rotate the logo, even if you think it looks awesome. Our primary logo colors and their equivalents. Need a quick social media mixup? Select one of our pre-sized social media logos, banners, and templates to get started!  Looking to use our logo for a design? Download our full Tespa Brand Assets package to make sure you're using the high-quality logos approved by our team.